Are you visiting Spain on holiday? Do you want to know where to go to see the art of Spain? Here we give you the main facts & information you should know about art in Spain. The first known examples of ancient art in Spain are some primitive cave paintings believed to be from 12,000BC. These examples of Ancient art in Spain can still be seen today. The next earliest examples of art in Spain come much later and are dated to the 12th century. These examples of art in Spain are beautifully decorated and painted Christian monasteries that were built across Spain and still exist today. Although this art is still visible in Spain today, the artists who painted them were anonymous and we no very little of their likely background. Art in Spain suffered from a complete dearth during the dark ages in Europe. The first evidence we have of a resurgence of art in Spain comes in the 16th and 17th centuries. This coincides with several social changes in Spain including a rebirth of Spanish literature. Perhaps the most famous artist in Spain during this era was the famous Spanish artist Diyo Rodriquez De Silva. De Silva produced his art in Spain as an official court artist of the Spanish royal family. His art is purported to be one of the finest and earliest examples of realism in the history of art in Spain. Another famous name in the history of art in Spain from the same period is Franciso De Zubaran who died in 1664. De Zubaran painted his art in the Spanish town of Seville and among other things, is famous for his art depicting monks in Spain. 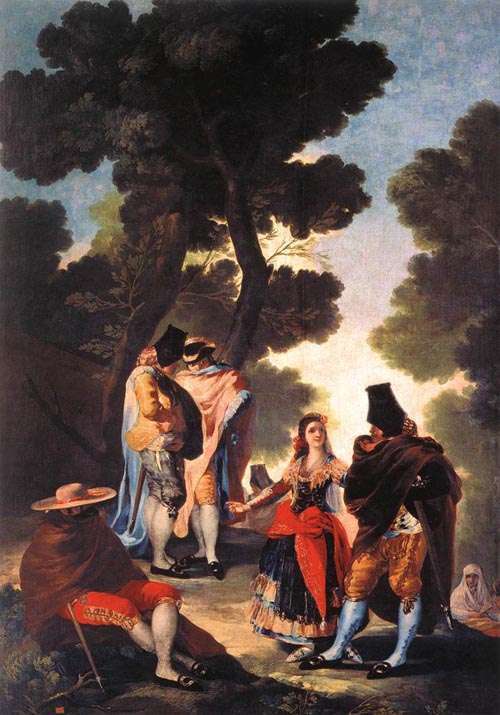 The most famous name in art in Spain from the 19th century is Goya. Goya started his artistic career in Spain as a cartoonist before becoming an official court painter to King Carlos IV of Spain. Among the things for which the art of Goya is noteworthy, is his use of art to attack contemporary political realities in Spain during his time. Subjects of criticism in his art included the clergy as well as the French who invaded Spain in 1808. The 20th century in Spain was a good hundred years for Spanish art. Two of the biggest names in art in Spain, and art internationally, were Picasso and Dali. Picasso was an artist who grew up in Barcelona in Spain and remained prolific in the production of art throughout his career until he died in 1973. The art of Picasso cannot be classified as belonging to Spain or a particular school of art as he developed his art throughout his career. The art of Picasso who lived mainly in Spain includes his blue period, pink period and a genre of art known as cubism.